Finding a good pair of headphones is hard to do. Especially ones that are truly wireless. No cords means the fit has to be perfect or they’re uncomfortable or, worse, painful to wear. 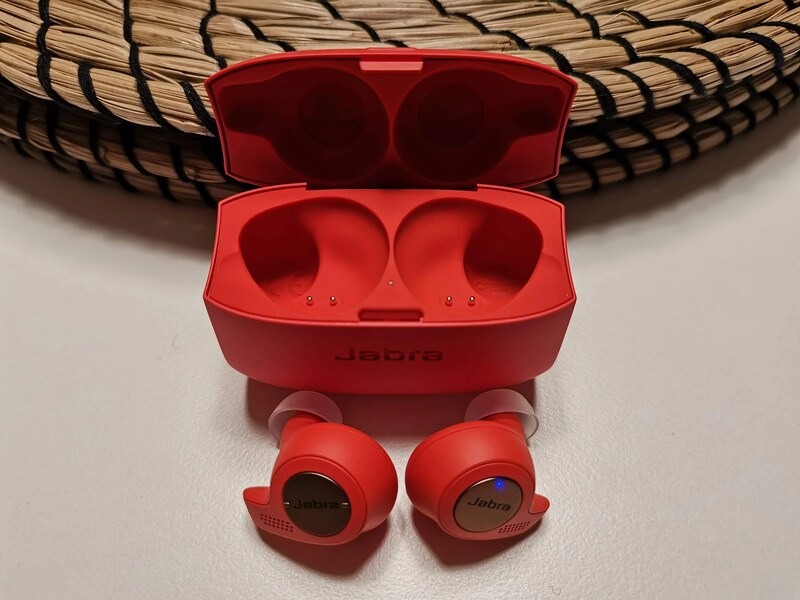 The Jabra Elite Active 65t headphones, having tested them for a few weeks now, are definitely up there in terms of the better wireless earbuds we’ve tested so far. The Elite Active 65t truly wireless headphones are small and comfortable. 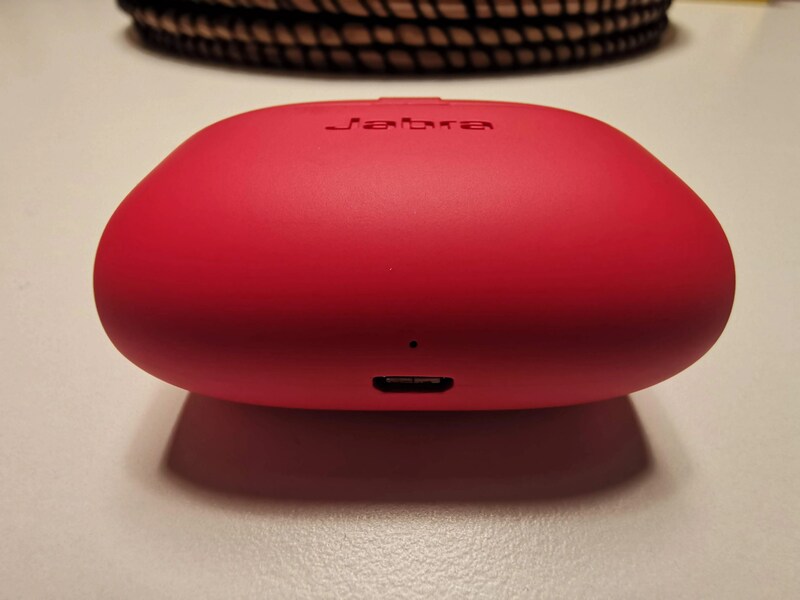 They have good battery life, solid bluetooth connection and great sound. They’re easy to wear for hours at a time. Settings are easy to change through the phone app. Let’s look at the specs. There are a lot of pros to the Elite Active 65t‘s. The cons are few, nit picky problems experienced by other truly wireless headphones as well. 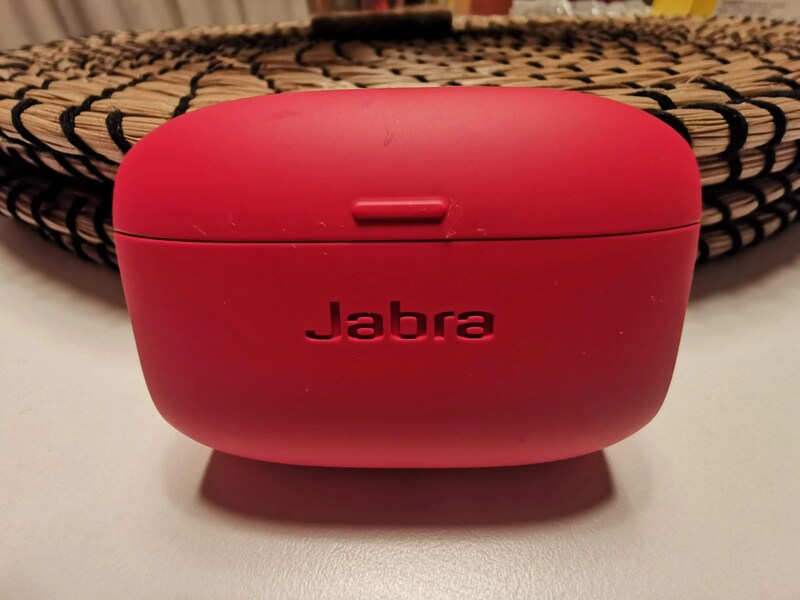 Jabra 3rd generation true wireless stability. The sound from the 65t’s is very good. I have no issue with listening to it for long periods of time. It’s clear with plenty of bass. The sound profile can be changed in the app for more bass, more treble or both. There are 6 equalizer presets: Default (flat), Speech, Bass boost, Treble boost, Smooth and Energize. I find I’m on Bass boost most of the time since I listen to bassy tunes most of the time. If you are into different music, then you may prefer Smooth or Treble boost. The Bluetooth connection has been very solid in testing over the last few months. Some headphones drop the connection periodically when the phone is further away or when the phone is just in your left pocket or backpack. Aside from the connection dropping when more than 40-50 feet away, it never drops. Call quality is also the best I’ve experiences on any true wireless earbuds I’ve tested to date. It was only very rarely that the person on the other end of the line had an issue with hearing what I was saying and that was during an incredibly windy walk home one day! Otherwise, I haven’t had any issues with call quality and people’s voice came through loud and clear on my end also. The phone app for gives you access to settings and listening profiles and has a fairly straightforward layout. The settings are separated into ‘Preferences’ and then the listening profiles Commute, Focus and Active. You can set different settings for profiles. Changeable options are equalizer presets, HearThrough, Soundscapes and the activity tracker. HearThrough plays sound from your surroundings through the headphones. It sounds similar to not having headphones in, even though earbuds have fantastic noise isolation due to their earbud rubber tips. When you want to hear for external sounds like traffic, this can be a great option. I found I couldn’t hear much if my music was loud but turned down sounds would come through. One option I’d like to see, hopefully in a firmware update, would be the option to turn up the volume on the HearThrough sounds. Along with HearThrough, equalizer presets and white noise soundscapes can be changed within each listening mode. A bunch of different white and pink noise sounds allow you to drown out all other noise. This is great in the focus mode. There’s also an activity tracker that uses the accelerometer in the headphones. You can track your steps when the tracker is active. I’m not sure I’ll ever use this since the most phones and their designated health apps can do this anyways and I can’t enable the tracker without my phone. 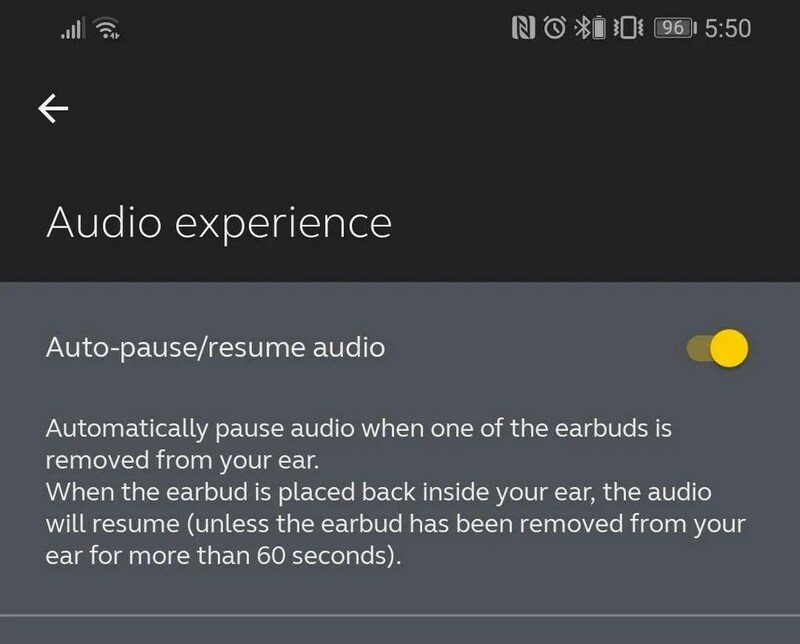 Another nice feature, which is also found in other premium wireless earbuds, is the ability to have the earbuds automatically pause or resume audio when you take one or both from your ear and put them back in. With the HearThrough feature, you shouldn’t have to use this feature too many times but it’s still a nice edition. The case is tiny, only slightly larger than an AirPod case. Compared to other headphone cases, it easily fits in your pocket. The buds slide into place and the case closes easily. It would be nice if they could magnet into place inside a bit more than they do. The earbuds hold 5 hours of a charge and the case holds another 10. I use them a lot and quickly run through the charge on the headphones but popping them back into the case turns the earbud off and charges them at the same time. Charging is easy with a micro-USB cord into the bottom of the case but we do wish it was a USB Type C port so we could cut down on the amount of cables we need to bring with us. There’s a tiny LED light above the USB port that displays red, yellow or green, depending on how much charge you have. A 15 minute quick charge gives you 1.5 hours of battery. The case has a slight rubberized grip to them which feels really good. After testing a large set of wireless headphones this year and using headphones almost on a daily basis for the last few years for walking to and from work and whilst travelling, the Jabra Elite Active 65t headphones are the best truly wireless set I’ve used so far. 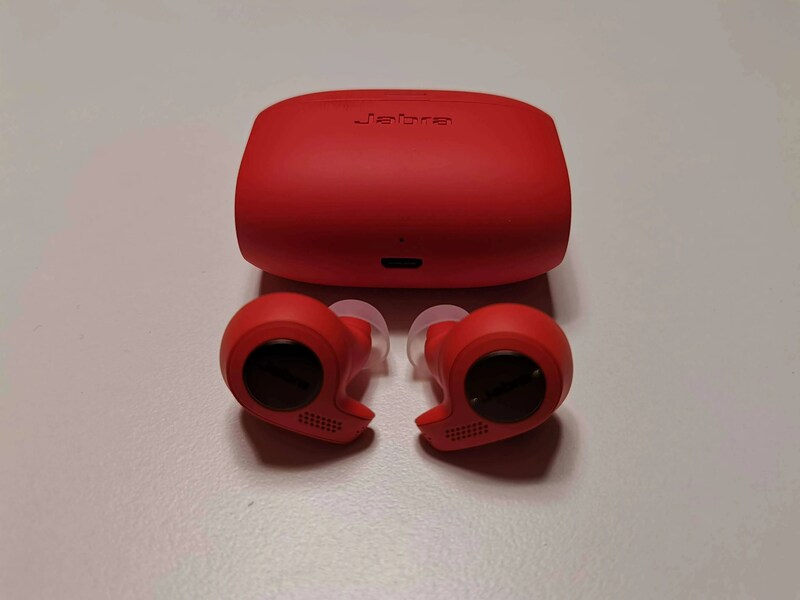 There could be a few small improvements but these aren’t anything major so if you’re in the market for a pair of truly wireless earbuds I highly recommend the Jabra Elite Active 65t headphones. After testing a large set of wireless headphones this year and using headphones almost on a daily basis for the last few years for walking to and from work and whilst travelling, the Jabra Elite Active 65t headphones are the best truly wireless set I’ve used so far.